Francois Dansereau, Founder and CEO Enterprise IT has become a critical management challenge,” affirms Francois Dansereau, Founder and CEO, ITEGRATIONS. “This is because inside every large organization there is a huge number of servers coupled with mainframes, cloud, storage and networking systems and applications which have grown up unchecked, over the years.” Managing this complex environment is one of the biggest headaches facing CIO’s and their teams--and that's where ITEGRATIONS has focused its business. “Being a CA Technologies Preferred Services Partner, our aim to help tackle the tech ecosystem with solutions that allow customers to integrate and manage increasingly complex computing environments,” explains Dansereau. ITEGRATIONS’ mission is to provide IT companies with the tools to achieve operational excellence to efficiently serve their business clients. “Our solutions and technologies cover a broad range; from Mainframe through Distributed Systems to Mobile, and from ‘on premise’ datacenters to Cloud deployments. It has earned us a reputation as the ‘Migration Company’,” says Dansereau. For instance, ITEGRATIONS has entirely changed the concept that companies require extensive system programming expertise to implement a mainframe solution. “It is not the case anymore,” claims Dansereau. “Our technologies allow people with less mainframe expertise to install and maintain the latest mainframe solution from CA.” A part of this credit and trust goes to the company’s professionals, who typically have over 25 year experience. “They have established ITEGRATIONS’ reputation as a specialty firm in operational assessments, consulting, deployment, automation, advanced service desk solutions, and managed services that customers can trust,” he adds. Mainframe solution migrations are no easy task and challenges are abound in planning and implementation. “With hundreds of migrations to our record, we have developed the toolsets and programming techniques that facilitate migration by shortening the time and lessening the associated risks,” reveals Dansereau. “Using our own mainframe facility, we not only complement our clients’ systems, but also act upstream to develop and test various solutions prior to implementation.” All these capabilities eliminate the need to provide the mainframe capacity for the development and testing of clients’ systems. For instance, ITEGRATIONS conducted one of the largest migration projects in North America, under CA contract that involved over 6,000 IT developers at the customer site of a Fortune 100 company. The ITEGRATIONS’ team rigorously worked for two years and migrated the client’s systems to a new framework that supported legacy application without a hitch. “The project was termed a success and was highly complimented by the client and appreciated by the industry,” reveals Dansereau. From supporting the next generation of mainframe personnel, by providing experienced mainframe specialists, we have expanded from the high-end mainframe computing environments to the distributed computing and Cloud services world of today,” says Dansereau. The expansion has helped the company to bridge the computing infrastructure ecosystems that set the tone for future growth, as well as remediate and enhance existing solutions. ITEGRATIONS has designed a flagship product, NXBridge, which is a unique software that bridges the mainframe and the “restof- IT” divide by providing a seamless user friendly interaction between the mainframe and all external access platforms and devices. For example, the enterprise can now integrate with leading distributed systems ITSM (IT Service Management) platforms, such as CA, HP, IBM, BMC, ServiceNow, and others into integrated monitoring, Service Desk, and Software Change Management solutions. “Our clients will now have the capability of seeing a single point of view with reporting of an integrated and interoperable enterprise mainframe and distributed systems applications, which is an additional benefit.” says Dansereau. By externalizing normalized data via a standard messaging layer, NXBridge supports business processes across a wide range of systems, including ERP systems, monitoring and alerting systems, and smart phones (mobility) for productivity gains. More importantly, NXBridge provides acceleration to integrate disparate systems on disparate platforms, while reinforcing standardized processes across the enterprise. The solution employs the Normalization, Correlation, and Automation model to achieve seamless integration between mainframe legacy release management, and the distributed change management systems. Though Information Technology Infrastructure Library (ITIL) best practice release management has been in place for decades on the mainframe, the systems that facilitate those processes differ slightly in their definitions. However, NXBridge normalizes vendorspecific legacy release management data to a common standard. The solution correlates release and change management life cycle data to the distributed change management systems, thus sharing common function elements as they are mapped to the standard ITIL best practice definitions. On the DEVOPS side, ITEGRATIONS’ NXPromote provides velocity by implementing an agile application release management on the mainframe. The solution allows clients to create and manage as many promotion areas under the current Software Development Life Cycle. This function adds substantial productivity gains in the Release Management process. 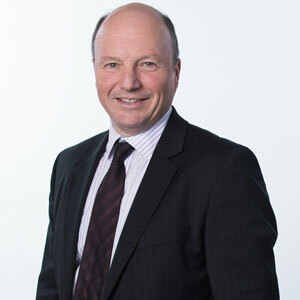 “We also offer Unified Managed Monitoring services, which allow clients to concentrate on their core business; leaving our Service Management experts to set up and monitor their infrastructure from the Cloud or on premise with the latest tools in a most costeffective manner.” The company’s Managed Service Desk services allows clients to transform their present Service Desk operation to the latest enterprise cloud based tools and ITIL industry practices, while adding many other desired modules and functions not available or implemented in their present system. This is particularly helpful for SMEs, as it allows them to get a full set of basic Service Desk as a SaaS, at a substantial lower cost when compared to the price of trying to implement one by themselves. A special mention must be made about ITEGRATIONS’ offering of CA’s powerful Application Performance Management (APM) solution. The solution ensures performance and availability of business-critical applications as well as the end-user experience of customers that access the company’s online services. It also enables organizations to proactively identify and prioritize problems based on business impact and help resolve problems across today’s highly complex application environments before they affect users. “We have invested a substantial amount of time and energy in R&D to make sure that we provide mobile access to legacy applications,” reveals Dansereau. As a result of the investment, the company has developed a number of unique applications and plugins such as the ability to use Eclipse Integrated Development Environment (IDE) on Windows to manage mainframe legacy applications. “Developers and programmers can use this offering to seamlessly access mainframes and maintain applications that reside on mainframes,” explains Dansereau. In addition, the company has successfully deployed NXBridge based mobile app that can run on iPhone, Blackberry, and Android platforms. Further, ITEGRATIONS’ competitive replacement packages, powered by CA Technologies, need a special mention. The package is particularly helpful for companies that rely on different third party vendors to provide different solutions with regards to their infrastructure. “Clients can opt for this package and save substantial costs,” notes Dansereau. ITEGRATIONS is known for the quality and reliability of their services. “We are one of the oldest CA partners,” says Dansereau. The partnership helps them get worldwide recognition and exposure, which Dansereau considers as critical for their survival. “It also introduces us to major accounts in the Fortune 500,” adds Dansereau. “Even though we are great at what we do, we may have difficulty reaching out to solicit IT departments of major North American and European firms. However, as a major CA partner we can gain access to them through the global CA account directors’ which creates a win-win-win for all parties, client and vendors alike.” he explains. ITEGRATIONS’ partnership is not just confined to CA Technologies. The company is also an IBM “PartnerWorld” member. This unique partnership gives them the liberty to use their own mainframe technology in IBM facilities. Going forward, the company aspires to leverage these valuable partnerships to develop different applications using NXBridge and upgrade its portfolio of integration services. “In the process, we want to become the ‘Go-To’ partner for mainframe, monitoring application portfolios, and service management endeavors,” affirms Dansereau. The company’s solutions and services, being extended and leveraged beyond IT, are set to solve real world business efficiencies and cost reduction requirements of tomorrow. A company specializing in Information Technology Service Management (ITSM) and Mainframe solutions.